On July 23, 2013, Ann (front seat passenger) and Orian (back seat passenger and Ann’s son-in-law) dropped off Ann’s granddaughter at ballet class. 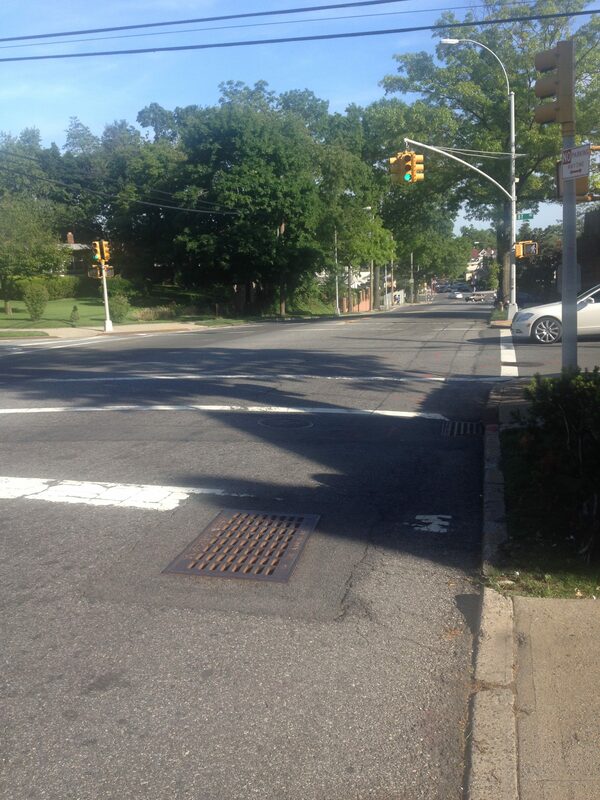 While they drove south on 188th Street in Queens, New York, they were completely stunned when the right side of the vehicle hit an open manhole in broad daylight! They remembered hearing a loud crashing noise and their bodies being jolted to the side violently. Ann hit her head and immediately experienced a burning sensation in her legs/hip, lower back pain, neck pain and difficulty breathing. Orian felt pain in his left shoulder and back. 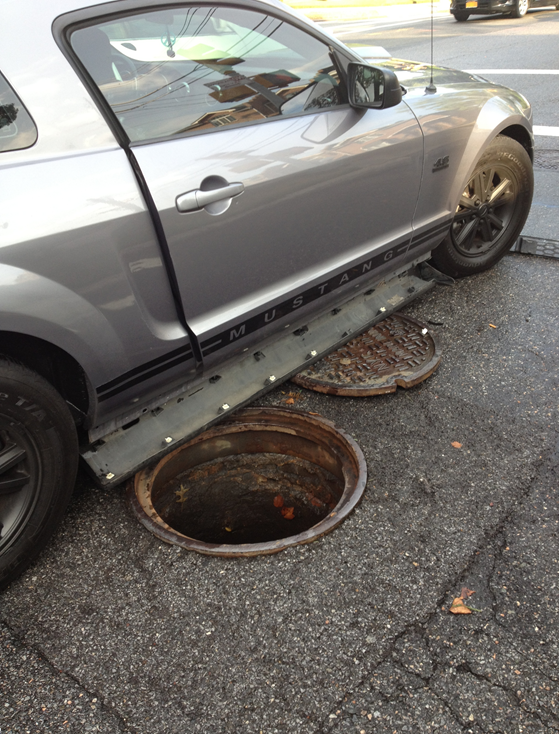 A “Good Samaritan” ran over to them and told them that same manhole cover is dislodged many times! Ann and Orian were taken by ambulance to a nearby emergency room to be evaluated, treated, and later released home. As a result of the manhole accident, Ann suffered multiple injuries including herniated discs, torn back side of her left knee (posterior horn medial meniscus tear) that required arthroscopy surgery, cortisone injections, cervical/lumbar spine surgery and years of therapy. Orian suffered injuries to his left shoulder (labral tear) and lower back. When conservative treatment failed, Orian underwent surgery to repair his left shoulder and a lumbar steroid injection for his back. Thankfully, Ann’s husband is a loyal listener of Adam’s radio show. After Ann’s husband learned that Ann and Orian were involved in a car accident, he told them to call The Case Handler team! 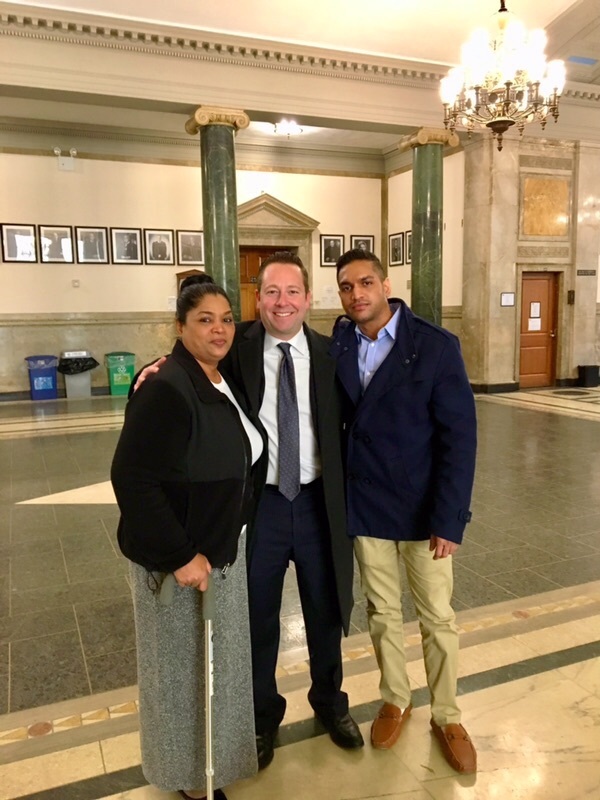 While Ann and Orian were recovering, our team handled all of their medical bills, and negotiations with the insurance company and the City of New York. When the City of New York offered $100,000 (Ann) + $65,000 (Orian) on top of the insurance company’s offer of $50,000 (Ann) + $30,000 (Orian), our experienced personal injury team knew that this offer was not good enough. While that is a lot of money to reject, Ann and Orian put their complete trust in our hands and we are glad they did! 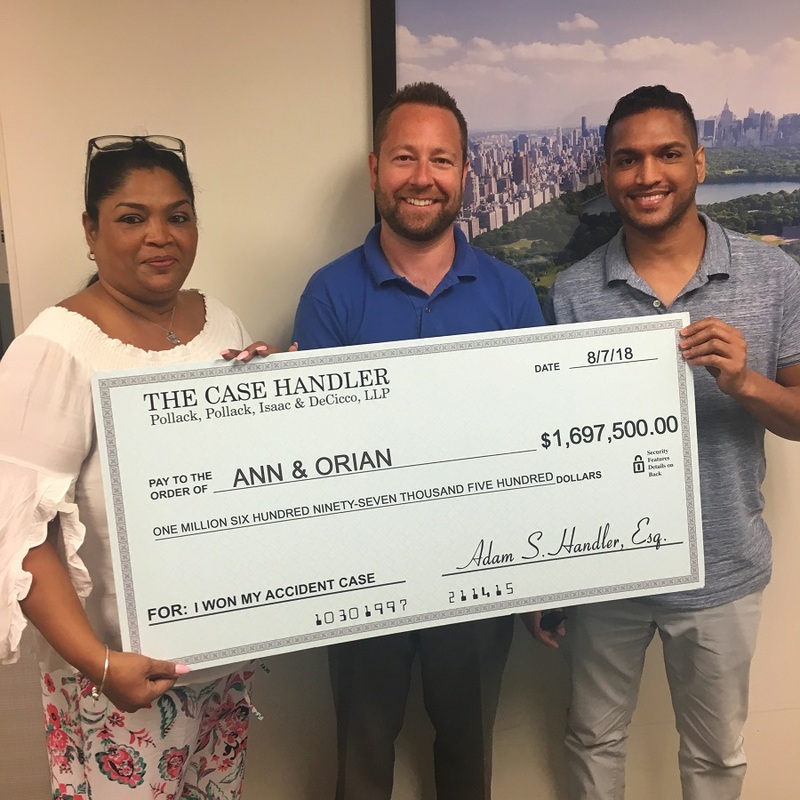 With the help of The Case Handler team, Ann and Orian successfully won a total recovery of $1,697,500! Also, we are thrilled to report that it was because of Ann and Orian’s case that The City of New York finally fixed the manhole cover issue!